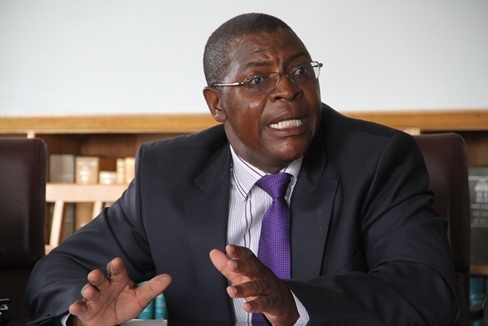 Party spokesperson Kurauone Chihwayi yesterday said the candidates’ final list was endorsed during the party’s national council meeting held in Harare on Saturday. These were Pilate Ndebele (Bulilima West), Maxwell Mthunzana (Lupane East), Mxolisi Sibanda (Lupane West), Witness Khumalo (Tsholotsho North), Zenzo Nkomo (Tsholotsho South), Joyce Ndlovu (Gwanda North), Patrick Dube (Gwanda Central), Angilacala Ndlovu (Insiza South), David Coltart (Bulawayo East), Stella Ndlovu (Luveve), and Nimrod Lunga (Vungu). Other candidates were Miriam Mushayi (Kuwadzana), Edwin Mushoriwa (Dzivarasekwa), Christopher Monera (Mhondoro-Mubaira), Thandiwe Mlilo (Mberengwa East), Osherd Mtunami (Shurugwi South), Francis Keith Maseko (Zvishavane Runde), Lameck Muyambi (Gokwe Kana), Nicholas Bwanyashuro (Muzvezve), Moreblessing Charuma (Chegutu East), Munyamana Godfrey (Mutare North), Jealous Munemero (Buhera North), Faith Chakwera (Mazowe South), Tamary Chimanzi (Mazowe West), Claude Nyanhete (Chikomba West), Boniface Mushore (Mutoko North), Constance Chihota (Marondera West), Kenias Donga (Chiredzi East), Lovemore Zanawi (Chiredzi South), George Mudombo (Chivi Central) and Tibba Paswell (Chivi South).